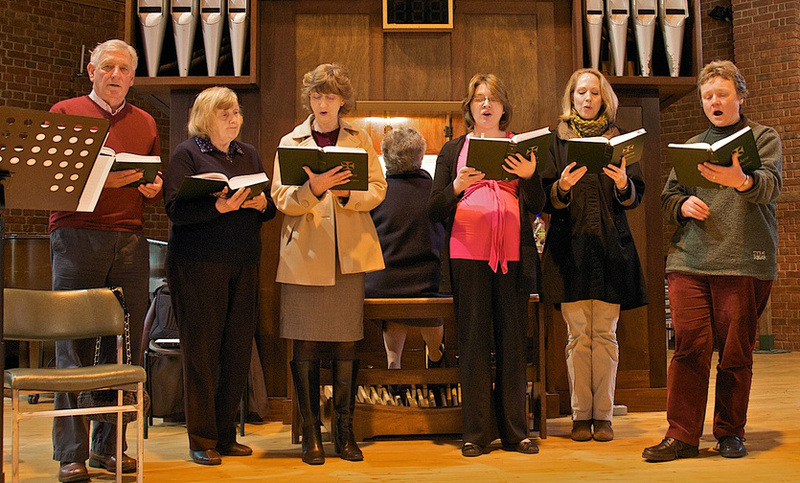 Within the Guildford catholic parishes we are lucky to have a wide range of high quality, diverse but accessible styles of music, able to enhance the liturgy at Mass and other services. The choir is an is an active liturgical choir of men and women (SATB), with full membership of about 20 singers. The choir leads the music at the 11.00 mass on Sundays except generally the first Sunday of each month and during academic holidays. The choir also sings at important feasts (e.g. Christmas and Easter). The choir's ministry is to assist our parish's worship by leading the congregation in the singing of responses, acclamations and hymns of the liturgy, enhancing congregational music by way of harmonising, providing descants and singing choral music from the treasury of sacred music. The 6pm Mass band consist of a band leader and a group of some 20 musicians (including drummers, bass players, guitarists, a celloist, flutist, pianist and singers) and sound engineers. 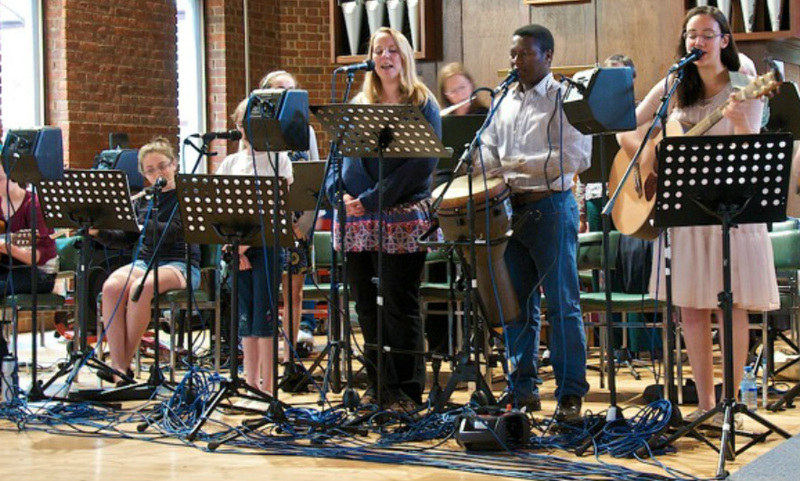 The majority of the musicians and singers are young people with support provided by Guildford Youth Ministry (GYM). The music ministry at the 6pm Mass is a unique mix of traditional and contemporary music. People travel from beyond Guildford to experience the dynamic Mass, enhanced by the vibrant and relevant Mass music. The band leader, Aseel Gilbert at the 6pm Mass has written a contemporary Mass Setting that has been approved by the Catholic Bishop's Conference of England and Wales. You can download the Mass setting below (click on the pdf icon). You can make a donation for this download (click the donate button below). All donations will go to Guildford's youth ministry programmes. On Sunday mornings we support a fully sung Mass – fairly traditional in format, but using mainly more modern music. We sing a number of different Mass settings in varying styles, and change setting according to the season; we sing the Psalm of the day, Eucharistic Acclamations and aim to choose Hymns that relate to the Word and the season. We are accompanied by some talented musicians, including a young organist, a young flautist, a young violinist and a pianist. We are always ready to welcome new singers and musicians – and would also be enthusiastic to support any group that might want to provide an occasional alternative to the traditional choir but without needing to make a regular commitment.